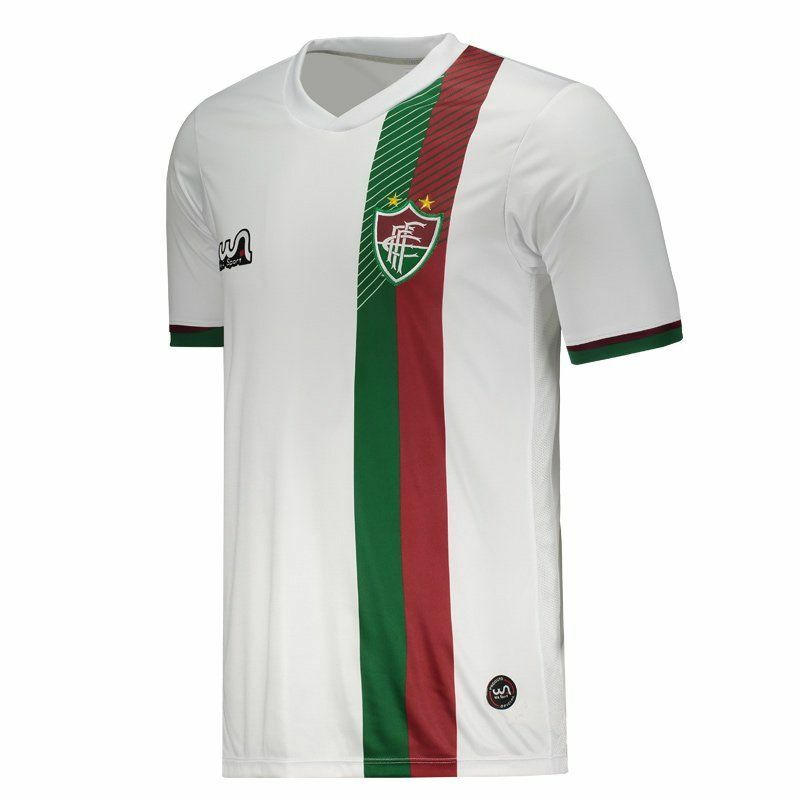 The WA Sport Fluminense de Feira Away 2018 Jersey can be customized with name and number and is made of lightweight and breathable polyester. Features DryFit technology that removes sweat from your skin to keep you drier and more comfortable during use. More info. 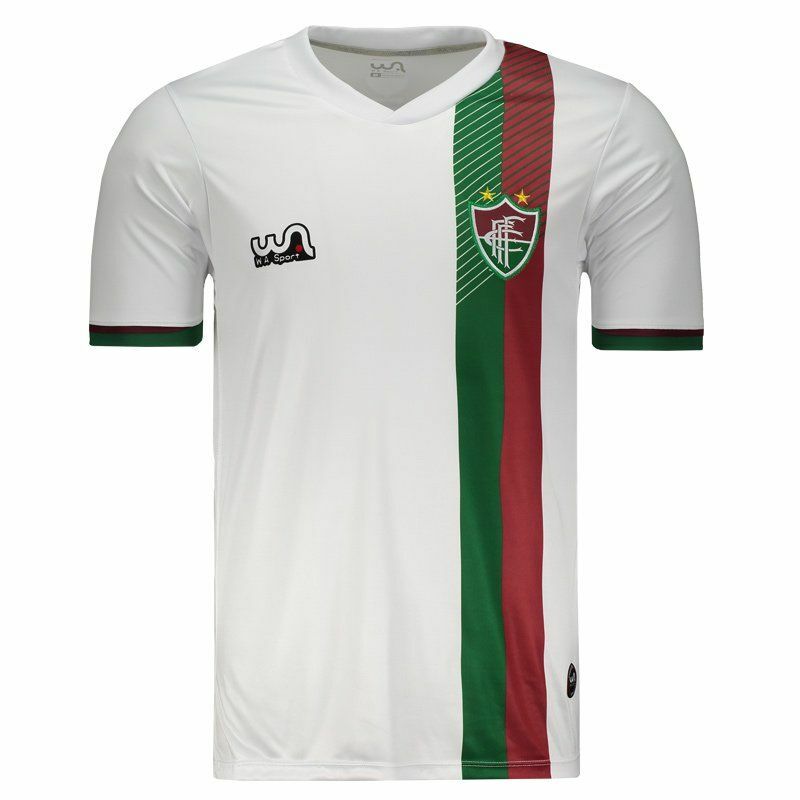 The WA Sport Fluminense de Feira Away 2018 Jersey can be customized with name and number and is made of lightweight and breathable polyester. Features DryFit technology that removes sweat from your skin to keep you drier and more comfortable during use. 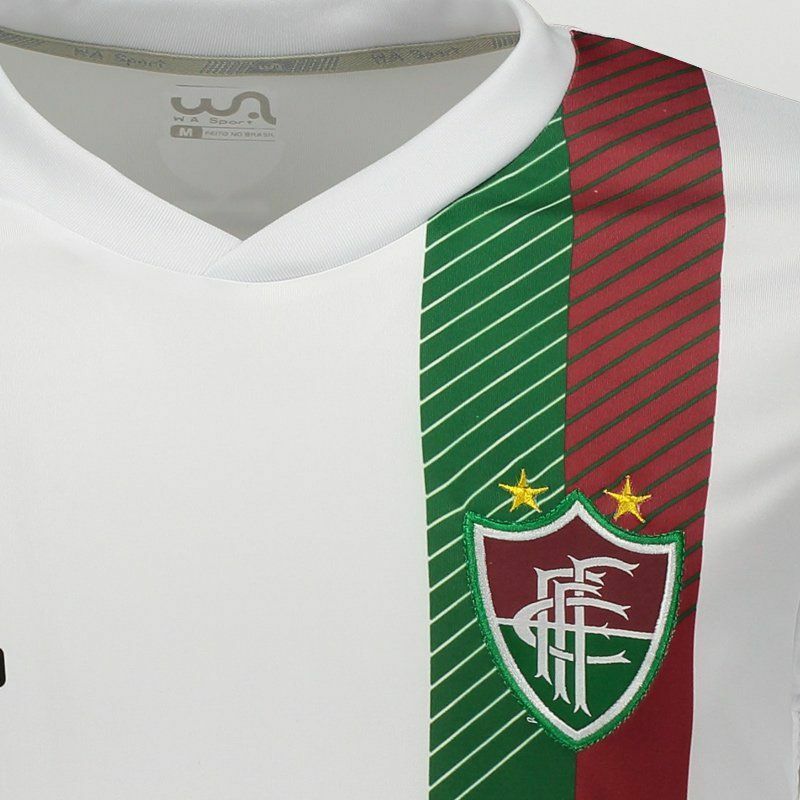 The design brings the predominant white color and the highlight is in the vertical stripes in green and grená cutting the region of the badge. The cuff of the sleeves also counts on these colors and comes with superimposed fabric. The collar, in turn, is crew neck with special cut. 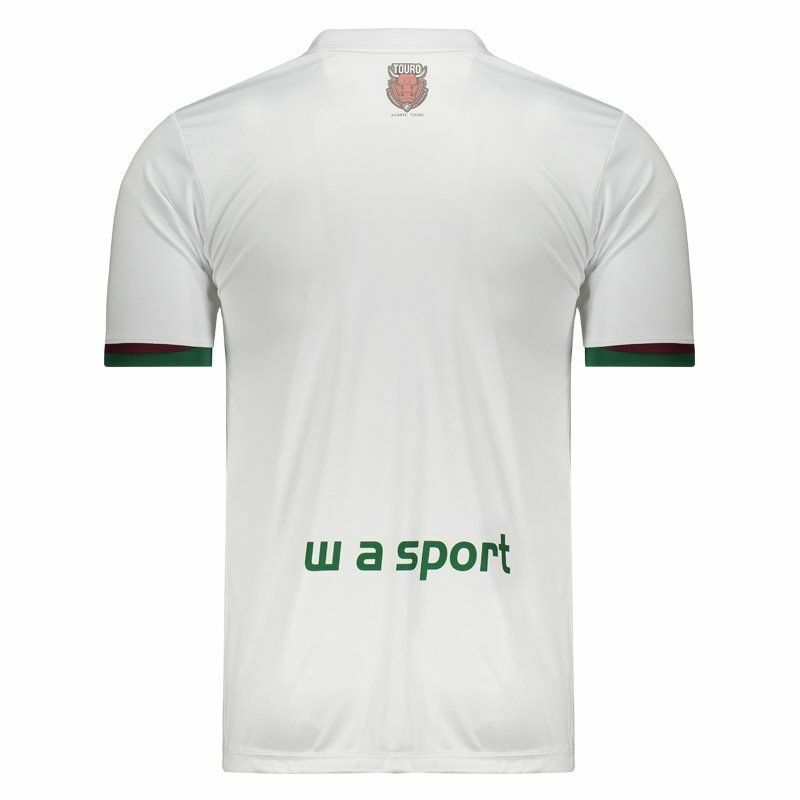 Finally, near the nape of the neck, the mascot of the team is seen stamped. Get it now!